I was gifted a luscious skein of sport weight alpaca last Christmas. All year, I've eyed that skein wondering what it wanted to become. A month ago the skein spoke to me, it said "a cowl". So I searched Ravelry and found this pattern (the original). I added a purl row in between five rows of stockinette stitch to add visual variety, I love the way this cowl turned out. 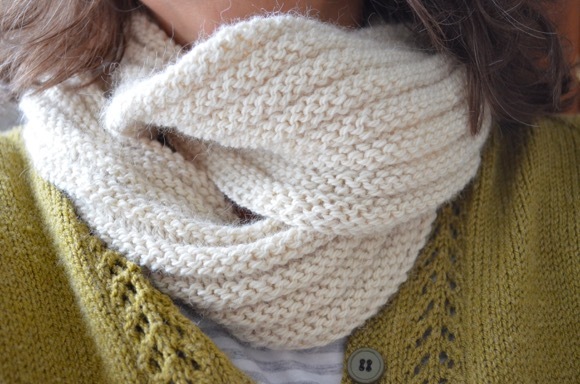 And it can be wrapped twice around the neck--so so cozy! Here is my ravelry project page. I love it Karen! It looks so soft and snugly! I can see from the pictures how soft that cowl is. You must be totally in love with it. Wow, that is beautiful. It looks so soft. It's beautiful Karen and I really, really love the color. Oooh. Love the neutral but rich color. Very fall. Just in time for fall! And it is a wonderful color. Gorgeous cowl! I love everything about it: the color, the yarn weight, the pattern and the added purl rows. It looks so cozy and wearable. Oh what an inspiration you are to me! I am working on my very first cowl! And I can't wait to secretly send you a picture of it when it's done:) (Full disclosure: Being so new to knitting, I actually had to watch a youtube video to learn how to cast on.) Thank you! 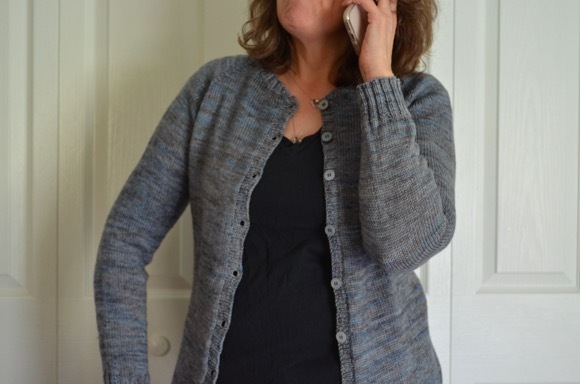 you turn out the most beautiful knits, karen! The cowl is lovely! I love how soft and toasty it looks. A cowl in alpaca, what a great gift to your neck. I like it! What a beautiful cowl. I love the addition of the pearl row. Gorgeous! It looks like the loveliest curtain in that picture by the window!